In Friday night’s opener, the Vikes shook off bus-legs and jumped out to a 2-0 lead in the opening nine minutes of the game. 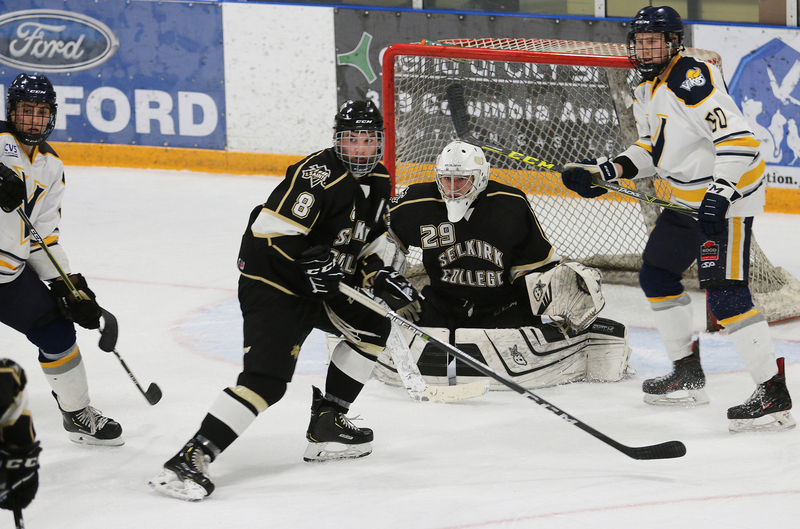 The Saints did not register a shot on Vikes starter Michael Fredrick until the 10:04 mark when freshman Nolan Percival connected on a nice two-on-one with linemate Devin Nemes to cut the deficit in half. Before the end of the opening frame, forward Edward Lindsey tied the game while the Saints were on the powerplay. Saturday night, the Vikes again came out the stronger team in an opening period that saw no scoring by either side. Saints starter Tallon Kramer stopped 11 shots to keep the game scoreless.